Asosiasaun Chega! 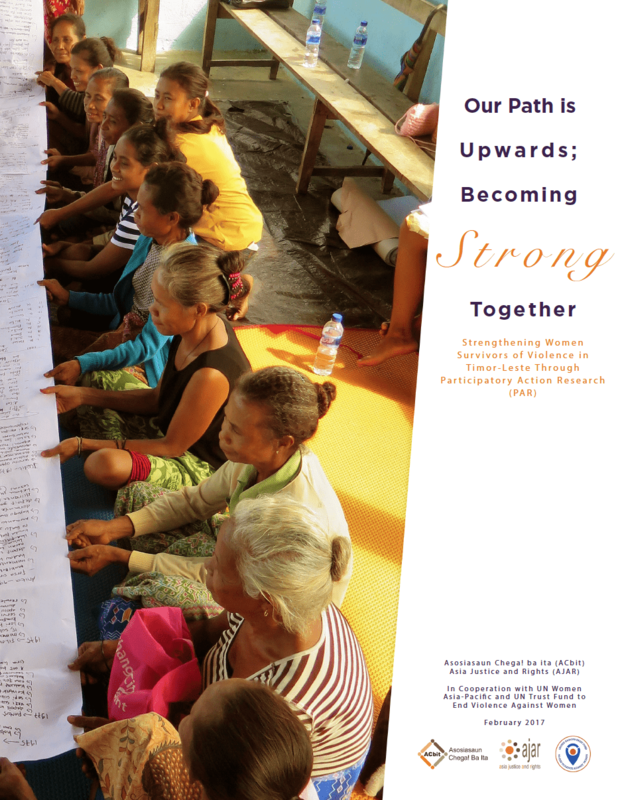 ba ita (ACbit), working closely with the National Victims’ Association (NVA) and Fokupers, and with technical assistance from Asia Justice and Rights (AJAR), conducted participatory action research with 161 women survivors of violence from June 2015 to May 2016 in all 13 districts of Timor-Leste. A total of 42 community facilitators, many of them survivors themselves, were trained to support the research process. The research brought together both survivors of gender-based violence (GBV) from Timor-Leste’s past conflict (1975-1999), and those who have experienced violence in the newly democratic Timor-Leste. This was an innovative approach taken by ACbit and its partners, linking survivors from the “past” and the “present” in order to better understand and address the root causes of GBV. These survivors were able to identify the barriers they face in accessing services in their communities and now attempt to overcome them. This report documents our community-driven participatory research process. It oulines the research process and methodology used and shares reflections from the community facilitators on the process itself, drawing out key lessons for future research and action. The report also presents the key findings of the research and discusses strategies developed by the participants together with ACbit for their ongoing advocacy work for survivors’ access to services.